Three of the most representative islands of Cyclades – Mykonos, Paros and Santorini constitute the best combination for relaxing vacations. The intense nightlife of Mykonos, the crystal organized beaches of Paros and the romantic setting of Santorini will make every minute worth it. 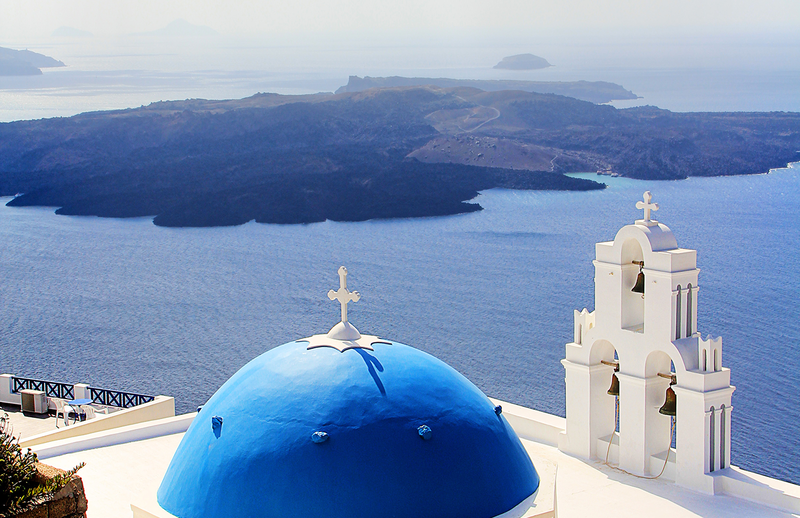 The three islands share the traditional Cycladic style, the crystal sea and the warm sun. They are all easy to access and offer lots of beautiful moments to their visitors. Relax in the golden beaches, stroll around small villages and have an evening drink under the moonlight. These are memories to hold for a lifetime. Breakfast. 06.15 Transfer to the Piraeus port and embarkation to the Blue Star boat to Mykonos. Boat schedule: departing from Piraeus at 07.25 and arriving at Mykonos at 12.50. Transfer to your hotel in Mykonos. Overnight in Mykonos. Breakfast. 09.15 Transfer to the port of Mykonos and embarkation to the Super Jet boat to Paros. Boat schedule: Boat schedule: departing from Mykonos at 10.00 and arriving at Paros at 10.40. 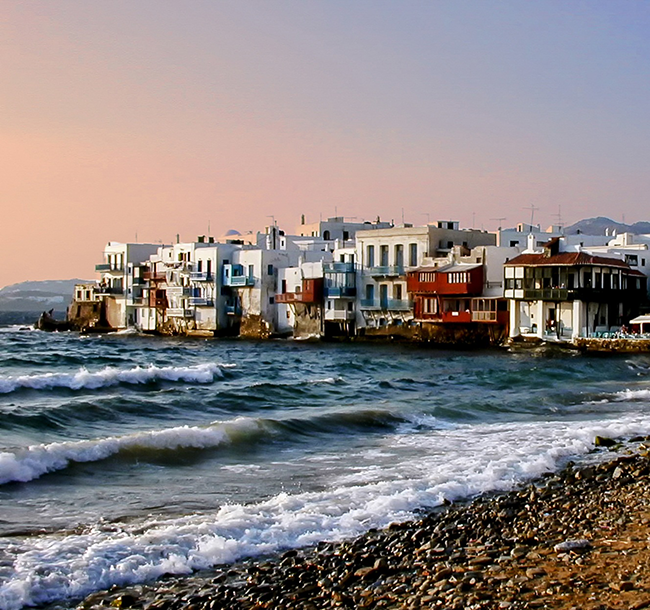 Transfer to your hotel in Paros. Overnight in Paros. Breakfast. 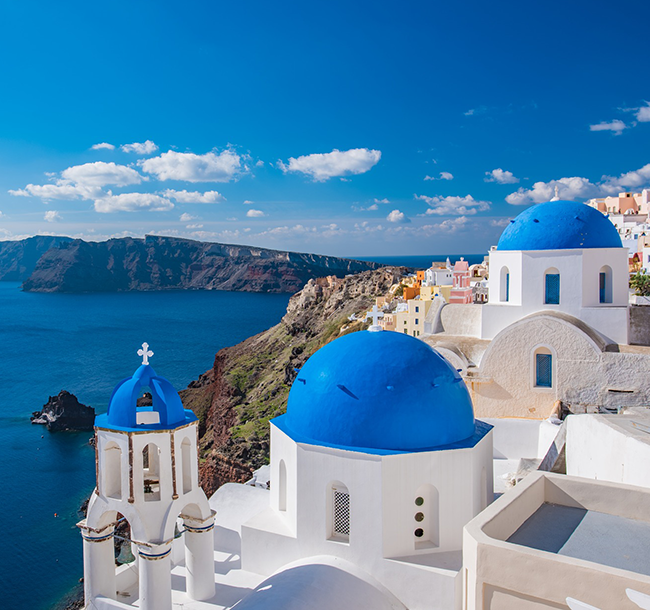 10.55 Transfer to the port of Parikia and embarkation to the Blue Star boat to Santorini. Boat schedule: departing from Paros at 11.55 and arriving at Santorini at 15.10. Transfer to your hotel in Santorini. Overnight in Santorini. Breakfast. 15.00 Transfer to Santorini port and embarkation to the Blue Star boat to Piraeus. Boat schedule: departing from Santorini 16.00 and arriving at Piraeus 01.15. 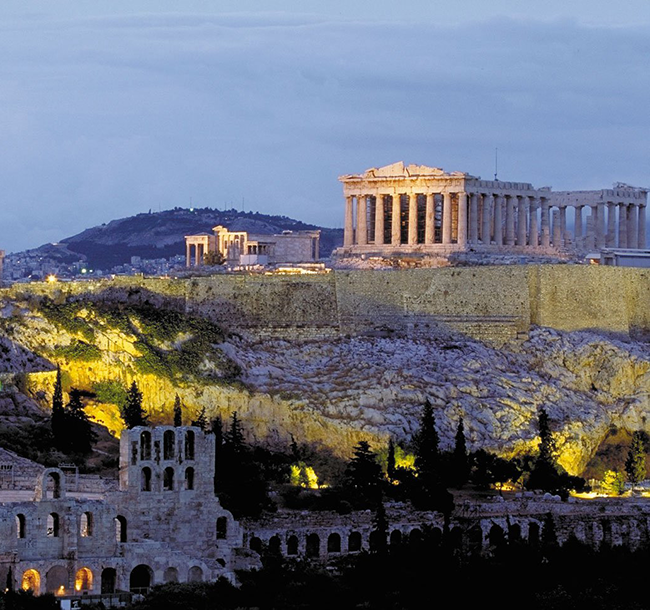 Transfer to your hotel in Athens. Overnight in Athens.